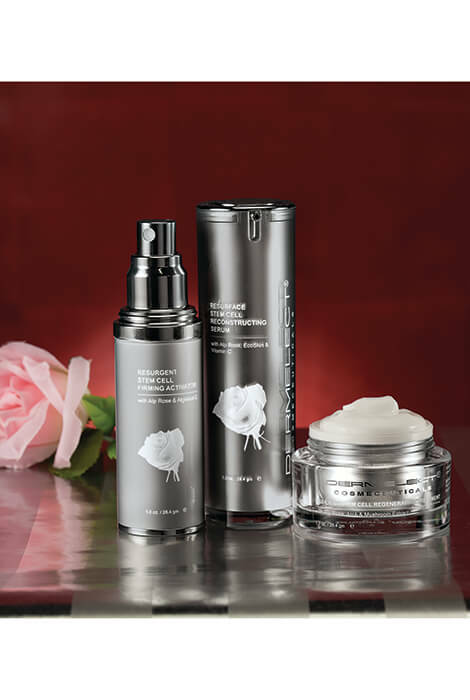 Regenerate your skin with the power of the Swiss Alpine Rose plant, a mysterious natural wonder that flourishes even in the harshest conditions. 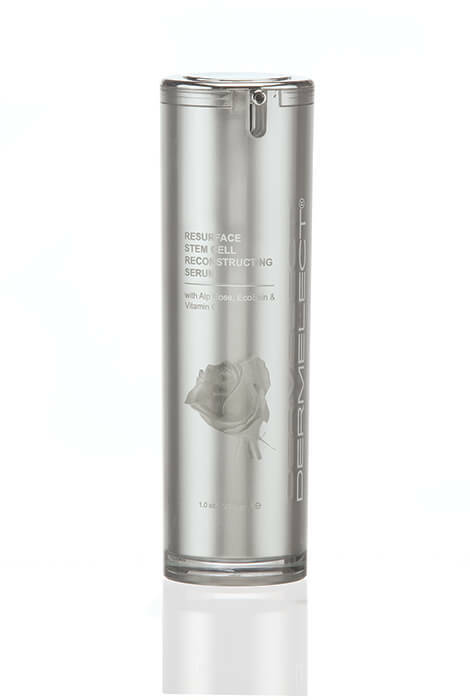 This anti-aging serum is the first to utilize extracted stem cells from the plant, which boosts skin's stem cell activity and stimulate skin's protein production. The formula combines the stem cells with proprietary Ecoskin to improve the barrier function of the skin, plus vitamin C to prevent the formation of wrinkles and reduce fine lines. The result is beautifully reconstructed skin with a more youthful appearance. In a 17-day study, wrinkles were 45% less visible and complexion was 54% more radiant. 1 fl. oz. Apply to the entire face in a gentle circular motion and allow to absorb- twice daily (AM/PM). AQUA (WATER), ALPHA-GLUCAN OLIGOSACCHARIDE, POLYMNIA SONCHIFOLIA ROOT JUICE, MALTODEXTRIN, LACTOBACILLUS, HYDROLYZED WHEAT PROTEIN, LECITHIN, SD 40 ALCOHOL, SODIUM LACTATE, PORPHYRA UMBILICALIS EXTRACT, PEG-8 DIMETHICONE, TETRAHEXYLDECYL ASCORBATE, RHODODENDRON FERRUGINEUM LEAF CELL CULTURE EXTRACT, ISOMALT, SODIUM BENZOATE, LACTIC ACID, PROPANEDIOL, XANTHAN GUM, PHENOXYETHANOL, ETHYLHEXYLGLYCERIN, ROSA DAMASCENA (ROSE) OIL.